No, not from us that is. 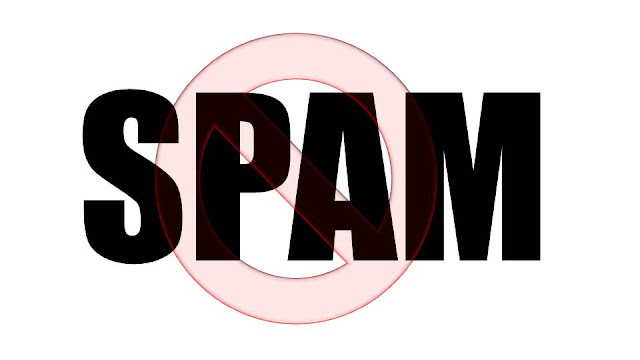 We respond to emails, reply to comments, participate in forums, and do many kinds of communication activity, Spamming is not one of them.Guaranteed. Salesberg Youtube Channel - If you subscribe to our YouTube channel (highly recommended), you will receive updates that are auto generated by YouTube and what you receive can be managed from the Youtube's preferrence. Salesberg Facebook Page - Notifications from our Facebook page can also be received if you subscribe to our Facebook page or comment on any activity a reply notification may also be received. Again these notifications are manageable as per your Facebook preference. This equally applies for our Twitter and Google+ accounts. Except in case of Google+, we often upload images for articles there, so subscribing there may generate notifications in relation to our picture uploads. Salesberg eBay Store - Only time you will ever receive mails/messages from our eBay store is if you asked a question or made a purchase from us or are subscribed to our eBay store. Questions asked in eBay will be replied via the same way. Invoices may be sent to your email address as it appears on your eBay account, and other messages that eBay auto generates in relation to the transaction. At times we run specials, and you may be updated about it if you are subscribed to our eBay store. This website and our eBay store is not cross linked, and information contained in eBay does not make it through to this website nor vice versa. The eBay store is operated independently, and user's information are separate. News Letter- Registering in our site does not enroll you to receive any News Letter (if we send one out). Regardless of if you are a member of our website or not, to receive our news letters, you have to subscribe. While we are at it, let us make this commitment publicly that we shall keep news letters short, such that it can be read in under 12 seconds. Lets face it, who has time to read these days! While participation in this website requires registration, the registered members do not receive mass emails. Participation in forums may generate emails if you are following any thread, that is up to one's own preference. If you like to subscribe to any one of our pages (YouTube, Facebook, Google+, eBay) you will receive updates in relation to that page/place, and can be controlled by user's own preferences. News Letter will need to be subscribed to separately and is voluntary. If you are a professional spammer, be afraid of lightnings!